Yet another (superb) example of traditional Japanese craftsmanship exposed on the dial of a Seiko Presage. Regular visitors to MONOCHROME already know that we’re big fans of the incredible work that comes out of Seiko. Few, if any, brands can match the Japanese company’s unique blend of expert craftsmanship, technical expertise and value for money. A prime example of this comes in the form of the Presage brand, which made its global debut in 2016. Showcasing different forms of Japanese craftsmanship, we have seen dials expertly crafted in enamel, Urushi lacquer, and guilloché with translucent enamel (Shippo), all for incredible prices. 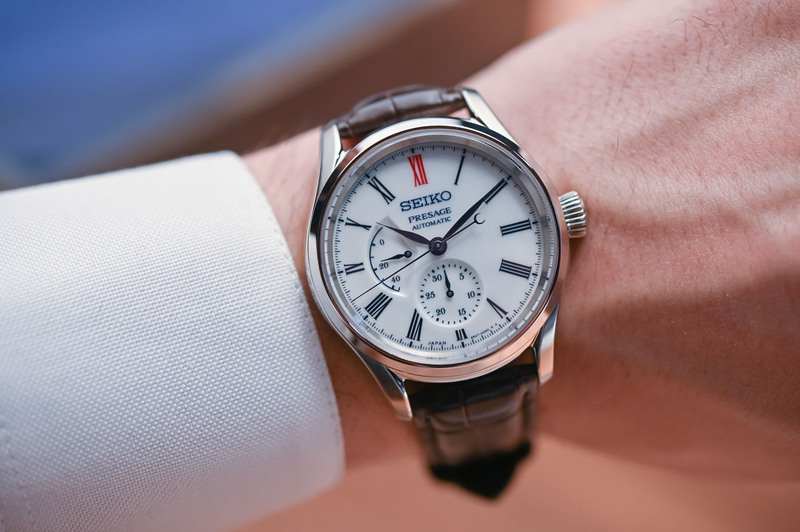 At Baselworld 2019, Seiko continued this trend, with the introduction of two new models with dials made from Arita Porcelain. 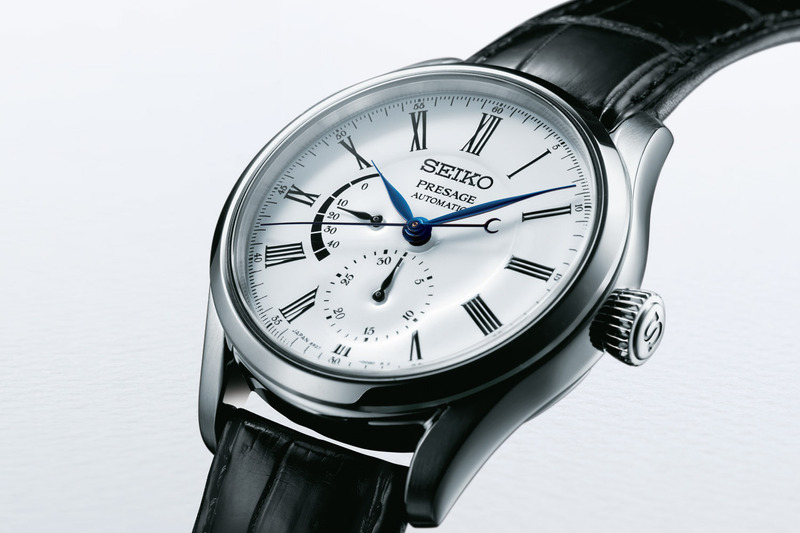 Today, we are getting hands-on with one of them, the Seiko Presage Arita Porcelain Dial SPB093. 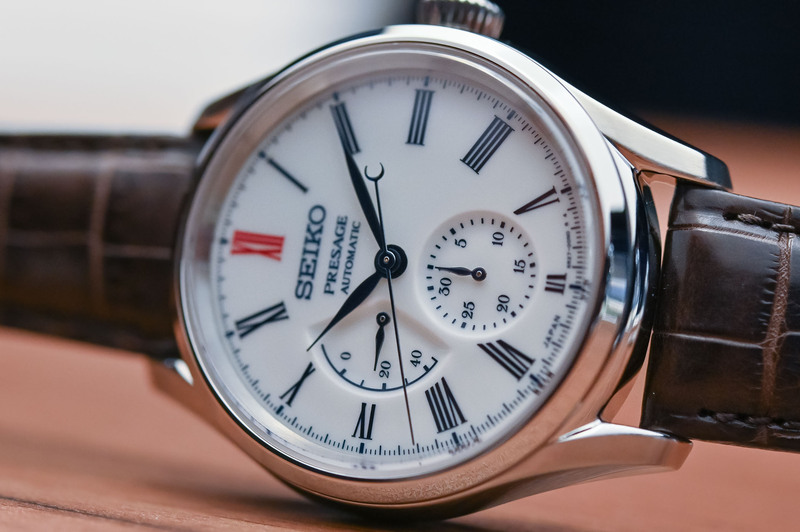 Before we get to the watch itself, it’s worthwhile understanding what Arita Porcelain actually is and why Seiko has chosen to use it. Arita is a small town located on the Japanese island of Kyushu. Towards the end of the 16th century, porcelain clay was found in the vicinity, transforming the area into a hub for Japanese porcelain. 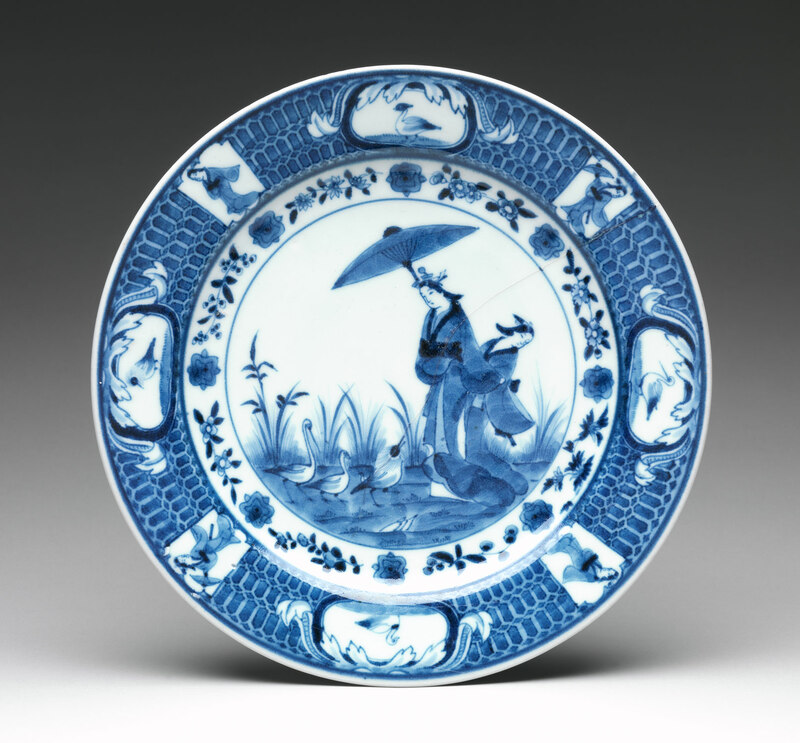 According to Wikipedia, early wares used underglaze blue decoration, but by the mid-17th century, Arita was at the forefront as Japan developed overglaze “enamelled” decoration in a range of bright colours. Edo-Period Japanese Arita Porcelain – Photo by the Met Museum. It wasn’t long before the porcelain products made in Arita became prized all over Japan for the high quality of their artistry. By the 19th century, it was being exported all around the world, dispatched by sea from Arita’s port of Imari. Today, Arita porcelain still has global appeal. Despite only having a population of 20,000 people, many porcelain makers thrive in the town, producing a variety of products and carrying on its long tradition of craftsmanship. 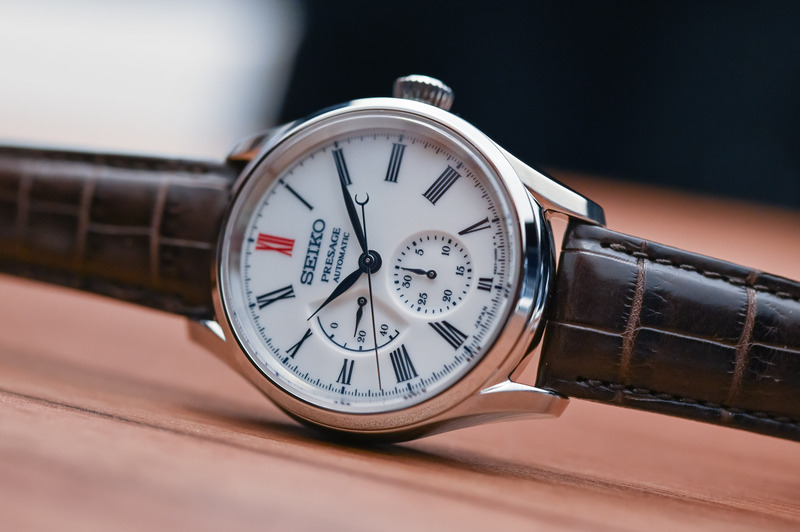 Although porcelain is also made elsewhere, porcelain made in Arita is uniquely Japanese, and so it seems fitting that Seiko has chosen to use this material for the dials of its new Presage watches. So, now that we’ve covered some of the history, let’s take a closer look at the dial itself. At MONOCHROME, we’re used to seeing enamel dials, whether they’re Swiss made, Japanese made, or come from somewhere more unexpected, like Scotland. Porcelain dials, however, are a bit more of a novelty. That doesn’t mean they are any less desirable, of course. If anything, this particular dial offers more depth and more lustre than many of the comparable enamel ones we’ve seen (including the previous Presage Enamel watches), yet it is very soft in appearance. I think the best way to describe the look is “milky”, with just a tinge of blue. The quality of the finish is much higher than the price would indicate, but then again that is the calling card of the Presage collection. Making attractive pottery is one thing; making a dial that requires a high level of precision and tolerance is quite another. 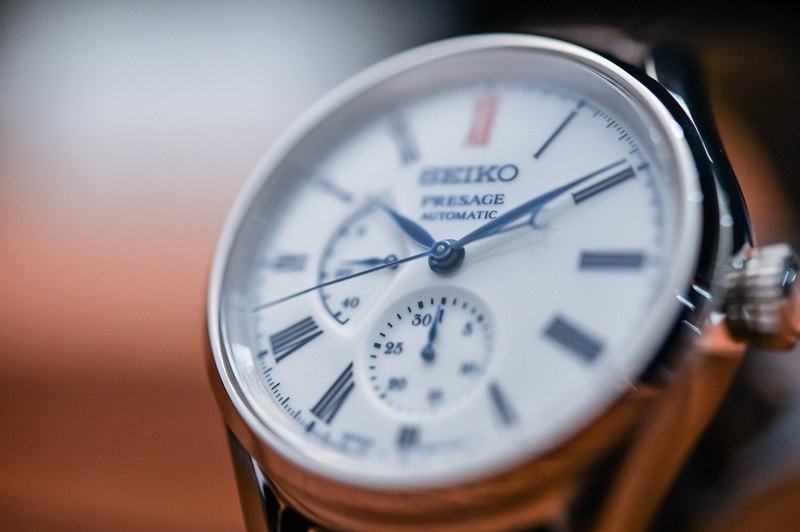 Seiko is legendary for its quality control standards and so naturally you would expect the company would use only the best materials available for the dial. Which is exactly what it did. The dial is crafted from a new type of Arita porcelain, that was developed just three years ago. It’s more than four times harder than standard porcelain and has both the strength and flexibility required. Understandably Seiko did not have the necessary expertise required to make the dials exclusively in-house. Instead, it chose to work with master craftsman Hiroyuki Hashiguchi. He, along with his colleagues, form part of an experienced manufacturer in Arita that has been making porcelain since 1830. Together, they developed a multi-stage production process. First, the base material is put into a special mould, which gives the dial depth. This is especially noticeable on the SPB093 thanks to the recessed power reserve indicator at 9 o’clock and the calendar sub-dial at 6 o’clock. The dials are dried and then fired for the first time at 1,300 degrees to harden and whiten the material. A special glaze is then applied by hand by Hashiguchi and his team, after which the dials are fired again to bond the glaze on to the dial. It’s this step that yields the deep, rich finish and the subtle blue tinge, a direct homage to the early examples of Arita porcelain. Next, the holes for the date window and hands are cut by laser. Finally, the dials are then fired again to smooth the surfaces that have been cut. The result is noticeably different from that of an enamel dial. Not necessarily better or worse, just different. I quite like how, at certain angles, the blue tinge becomes very noticeable. 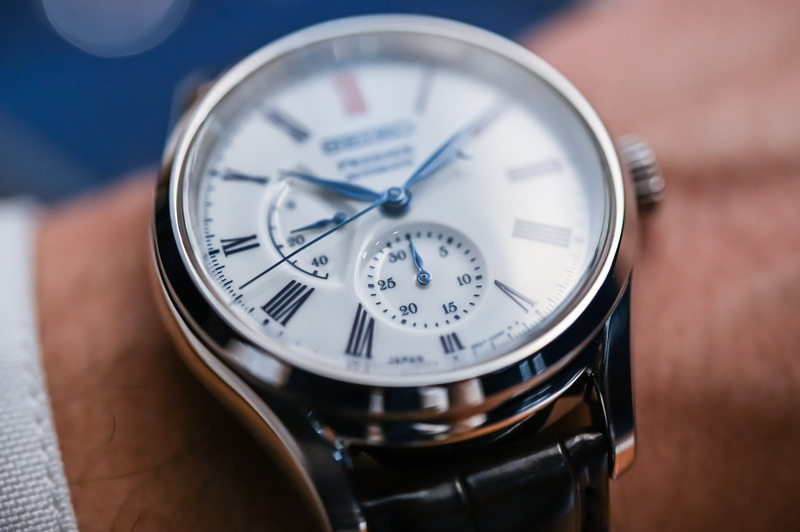 It gives this dial an extra element and ties in nicely with the blued-steel hands. Roman numerals are used for the hour markers, with the “XII” at 12 o’clock in red. This is consistent with other similar models in the Presage line-up. 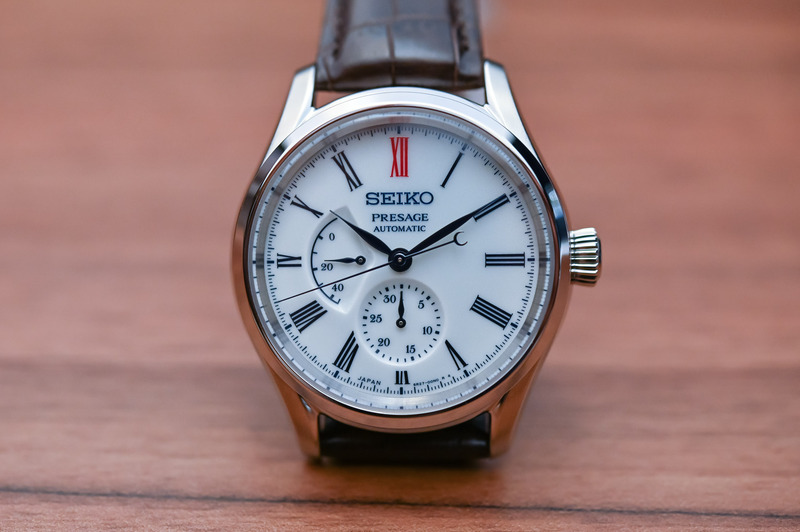 Functionally, the Seiko Presage Arita Porcelain Dial SPB093 is a variation of the Presage Multi-Hand Automatic, several examples of which we’ve seen before here on MONOCHROME. This means a classic three-hander with a calendar sub-dial at 6 o’clock and a power reserve indicator between 8 and 10 o’clock. The 40.60mm steel case is fitted with an in-house automatic movement – calibre 6R27 – and the frequency is a modern 4Hz with a 45-hour power reserve. 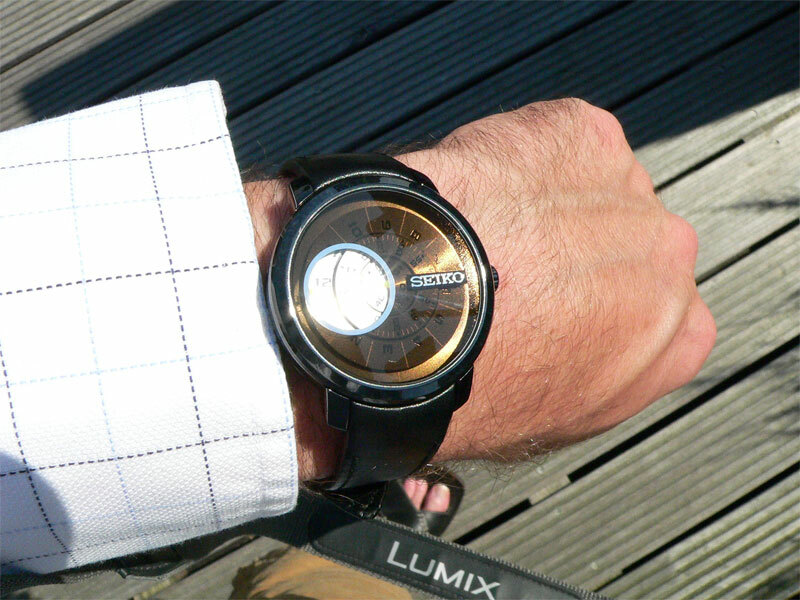 It’s visible through a sapphire caseback and displays a nice, if simple, level of finishing. The real kicker, as ever with Seiko, of course, is the price. Recommended retail is EUR 1,950 and unlike some of the other Presage models we have seen with fancy dials, production is not limited. 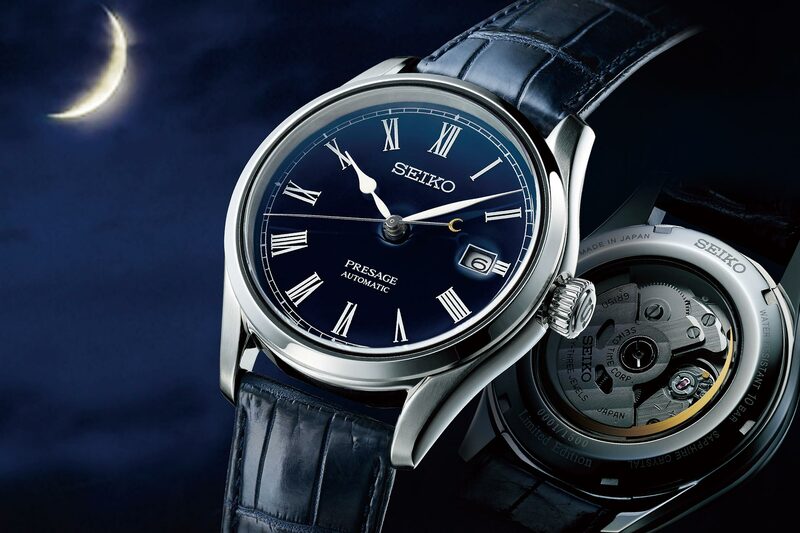 The watches will be available from September 2019 at Seiko Boutiques and selected Seiko retail partners worldwide. More details at www.seikowatches.com. It seems that the more Seiko try to take on Rolex, Panerai et al with their gaudy, hyper-engineered pieces, the less Seiko they become. 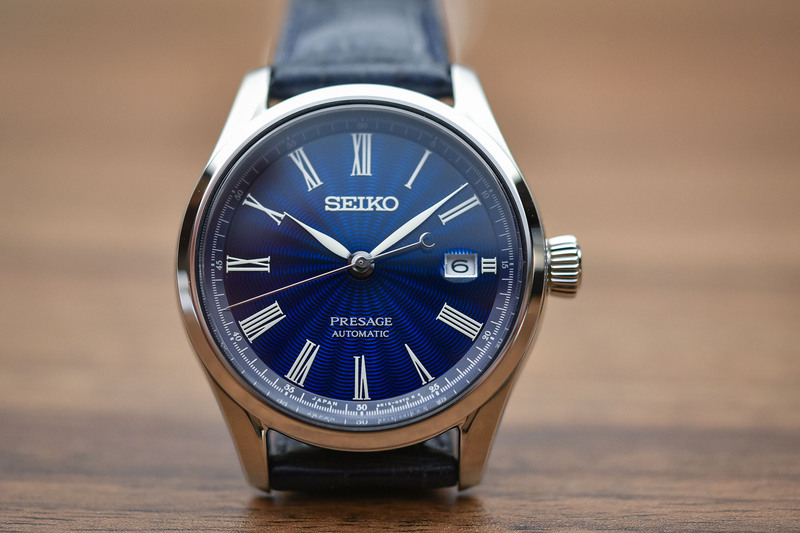 The Presage line is in a class of its own for the price and for me at least, is the exemplar of The Seiko Philosophy. Please don’t lose that Seiko. I think the red 12 is really nice. Impressive in many ways but it looks like I forgot to put my specs on. It would be nice if it was a lot crisper. I suspect that is due to the look and feel of the porcelain. The printing itself is undoubtedly crisp. I also like the red twelve. This reminds me of an old Victorian shaving mug or brush. And the hands match perfectly with the aesthetic. Certainly a novel option. If I wasn’t maxed-out with watches I would be trying this one on-wrist! As a owner of JLC, Rolex and Grand Seiko looking at this offering from Seiko is refreshing. I truly appreciate the finishing and color combination with the red to make the dial Pop. Would like to have read more on the movement. Next time I am close to a Seiko dealer when watch is available I will be sure to check this line out in the flesh. @Stephen – thanks for your comment. 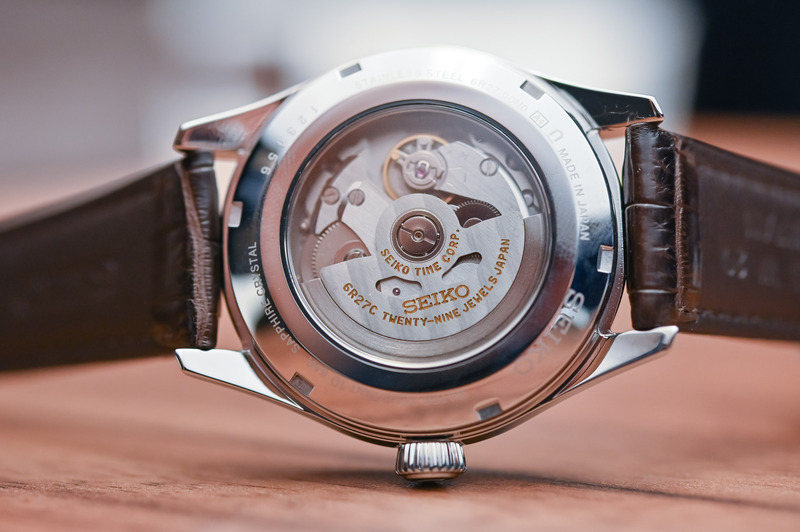 Seiko has actually used this movement in several other models we reviewed here on MONO. 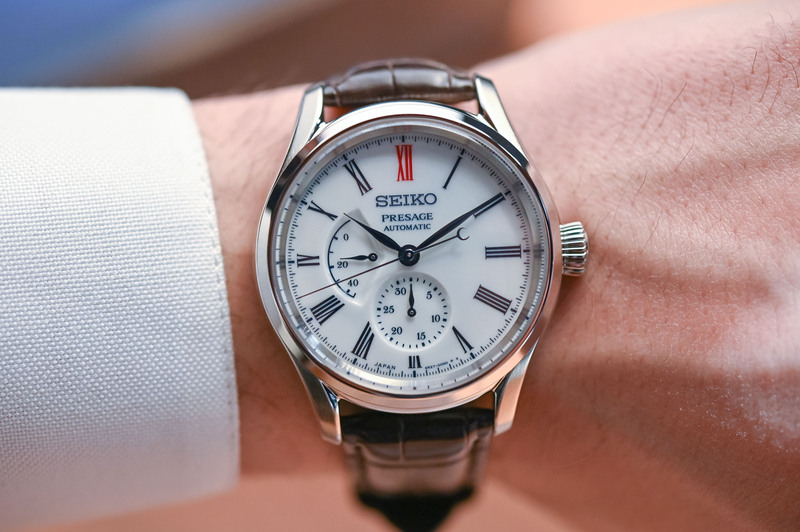 For more information, I would recommend checking out https://monochrome-watches.com/seiko-presage-enamel-collection-srq023-srq023-spb047-review-price/. Gorgeous dial, especially the 12 in red, very nostalgic. Ultra quality fit and finish. 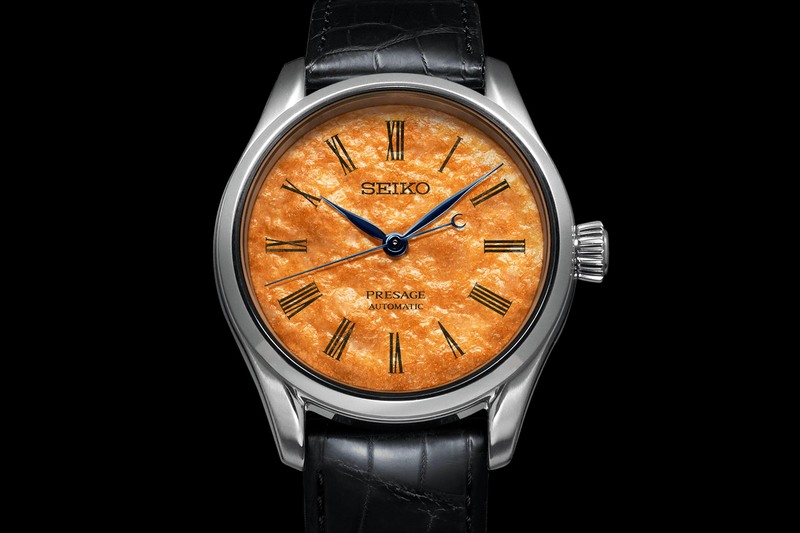 Another resounding example of what Seiko can do.